People with antisocial personality disorder, also known as psychopathy or sociopathy, are at risk for addiction and are more likely to be involved in the criminal justice system.1,2 These people require an integrated treatment plan designed for those with a dual diagnosis. Aggression toward animals and people. Engages in illegal activities and avoids conforming to social norms. Persistently lies and cons others for enjoyment or personal gain. Displays impulsive behaviors or lack of planning for the future. Exhibits aggressiveness and irritability, which result in violence. Shows complete neglect for the safety of others and self. Demonstrates a lack of responsibility in all facets of life (fails to meet work or financial obligations). Shows an inability to feel remorse after having mistreated or hurt someone. Irresponsible in many facets of life (parenting, school, work, finances). Features of other personality disorders (narcissistic, borderline). Who Answers? to discuss treatment options with a support specialist. They tend to have more profound physical, legal and social problems from addiction. 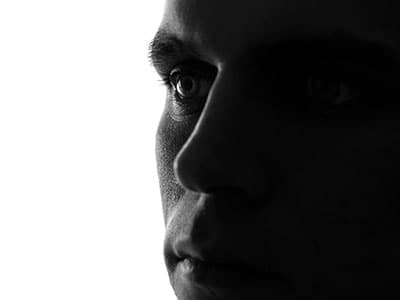 People with antisocial personality disorder and a co-occurring substance abuse disorder are said to have a dual diagnosis and require a comprehensive form of treatment. These people also tend to have more profound physical, legal and social problems from substance abuse. They may have an earlier onset of drug use and quicker development of addiction than non-sociopathic addicts. Hallucinogens (with the exception of PCP). Opioids, such as heroin and prescription painkillers. Who Answers? to speak to a recovery support specialist about dual diagnosis recovery programs in your area. Intake evaluation. You will be evaluated for any undiagnosed mental health conditions, and the severity of your addiction and personality disorder will be assessed in order to create an individualized treatment plan. Detox.You will receive around-the-clock care while detoxing from alcohol or drugs and medication, if necessary. Group counseling. Group counseling can be effective for learning pro-social skills and sharing experiences with others. Having an alcoholic or antisocial parent. Call 1-888-319-2606 Who Answers? today to find the best dual diagnosis recovery program that specializes in the treatment of substance addiction and antisocial personality disorder. A representative can confirm your insurance over the phone and help you find a recovery program based on your coverage. If you don’t have insurance, call the Substance Abuse and Mental Health Services Administration’s (SAMHSA) national helpline at 1-800-662-HELP (4357). They can refer you to a treatment program in your area that helps those without insurance.
. Mueser, K. T., Crocker, A. G., Frisman, L. B., Drake, R. E., Covell, N. H., & Essock, S. M. (2005). Conduct Disorder and Antisocial Personality Disorder in Persons With Severe Psychiatric and Substance Use Disorders. Schizophrenia Bulletin 32(4), 626-636. Retrieved February 16, 2016.
. National Library of Medicine. Antisocial personality disorder: MedlinePlus Medical Encyclopedia.
. Messina, N., Wish, E., & Nemes, S. (1999). Therapeutic community treatment for substance abusers with antisocial personality disorder. Journal of Substance Abuse Treatment, 17, 121-128.
. National Institute on Drug Abuse. (2009). Court Mandates Help Men With Antisocial Personality Disorders Stay in Treatment.
. Meloy, J. R. (2007). Antisocial Personality Disorder (Vol. 51). Washington, DC: American Psychiatric Pub.
. Beck A, Freeman A, Davis DD, et al. (2004). Antisocial personality disorder. In: Cognitive Therapy of Personality Disorders, 2nd ed, Guilford Press, New York 2004.